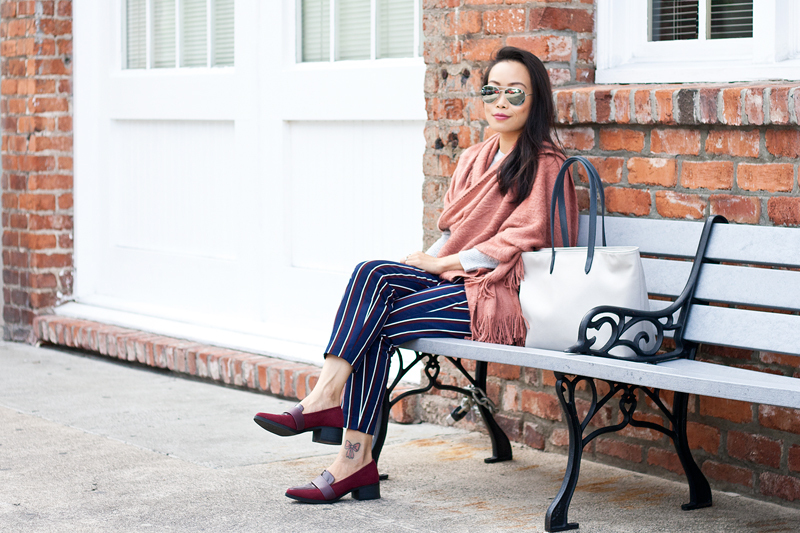 Pinstripe is huge this Fall, and although I am not usually a fan of menswear inspired styles, I am actually loving this trend! Either that or I just really love these pants! 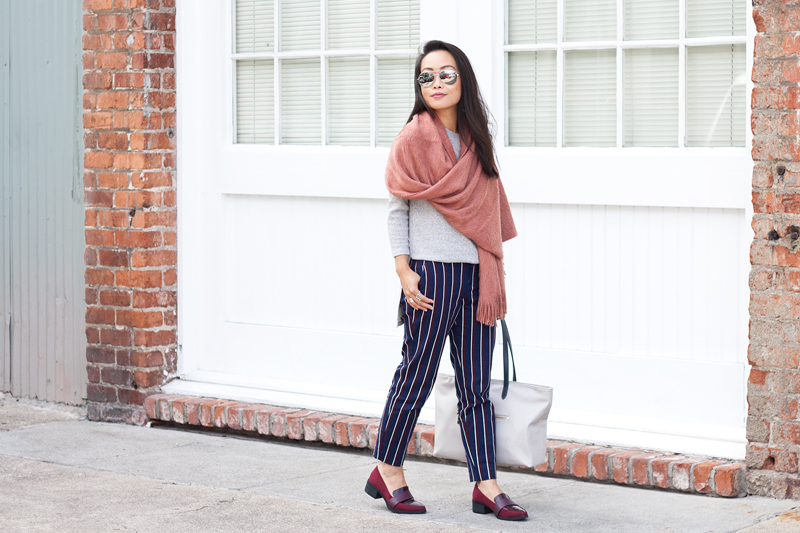 These navy mid-rise trousers with burgundy and white pinstripes are simply amazing, classic, and comfortable. 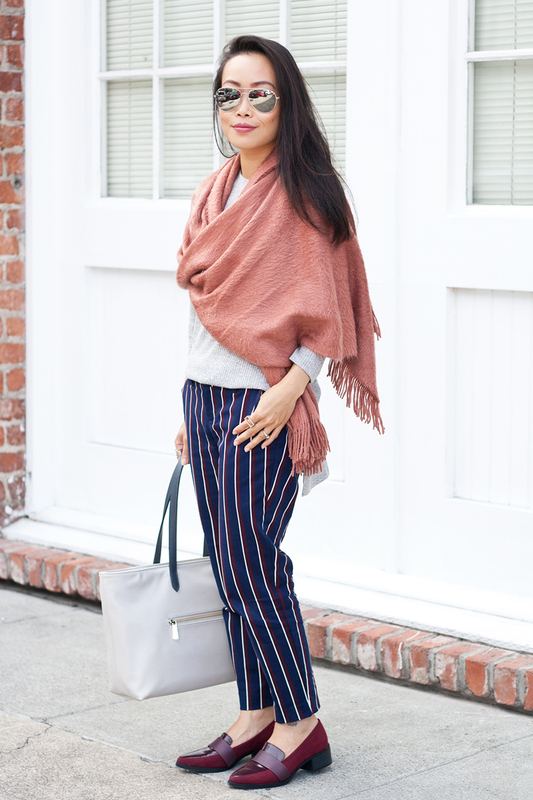 To make the look more feminine, I paired the pants with a soft gray knit top and a cozy scarf in a lovely rose-mauve color. 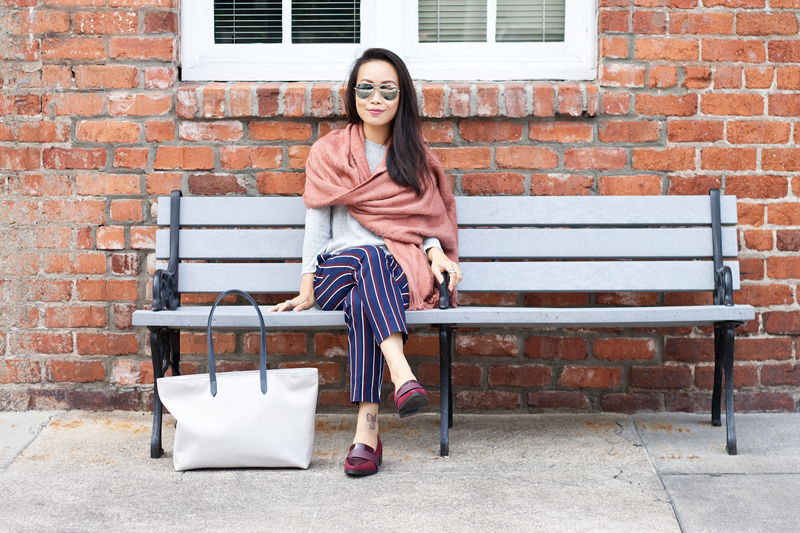 Two other things I am loving this Fall are totes and loafers, like this buttery soft vegan leather tote and these gorgeous burgundy loafers. Don't they just go with my outfit oh so seamlessly? 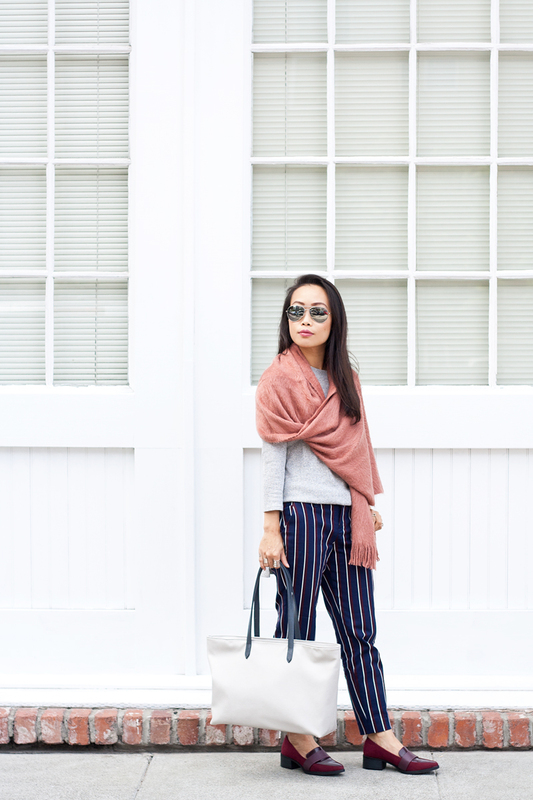 Pinstripe trousers from Old Navy. 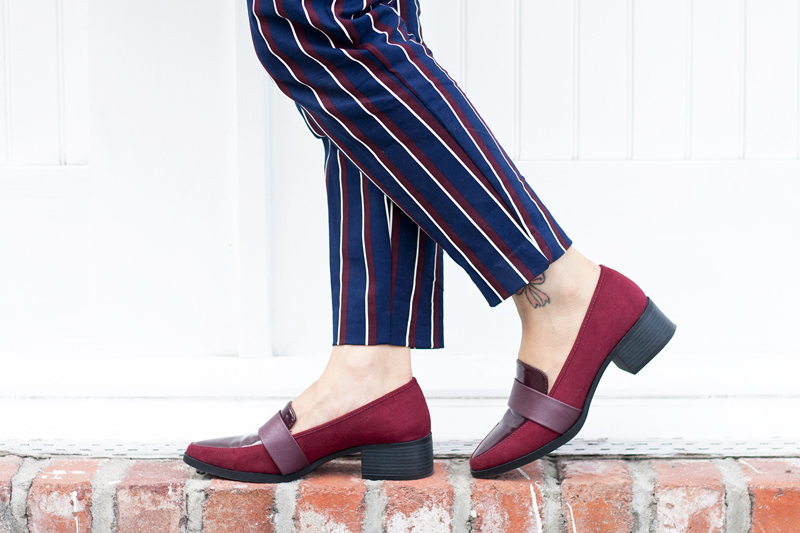 Burgundy loafers from Old Navy. Gray knit top c/o F21. 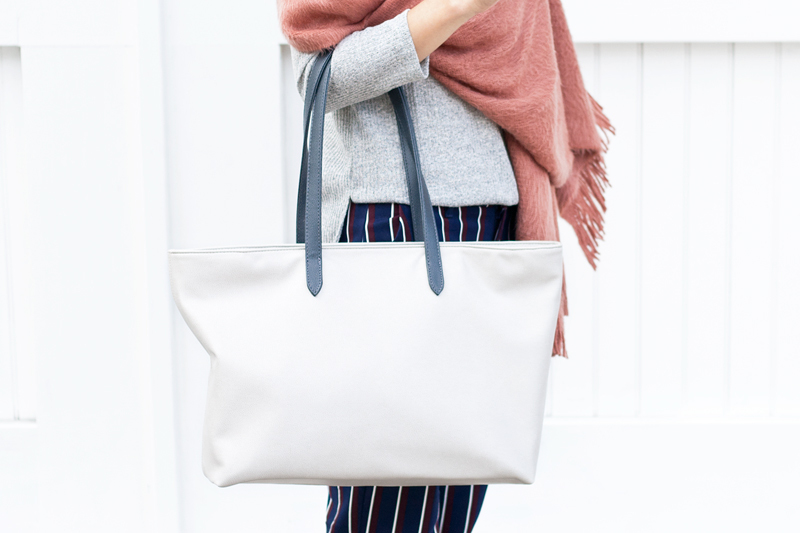 Severine vegan leather tote c/o Viva Creatures. Such a cute look. 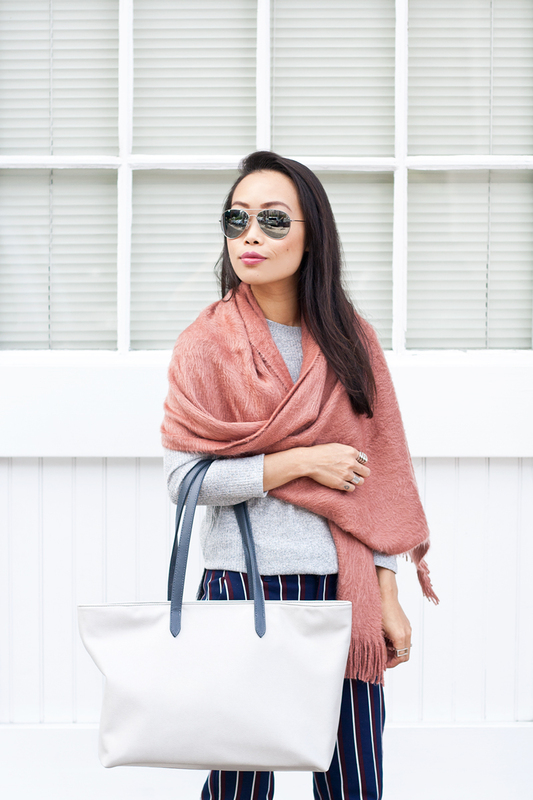 Loving the pinstripes and blanket scarf. 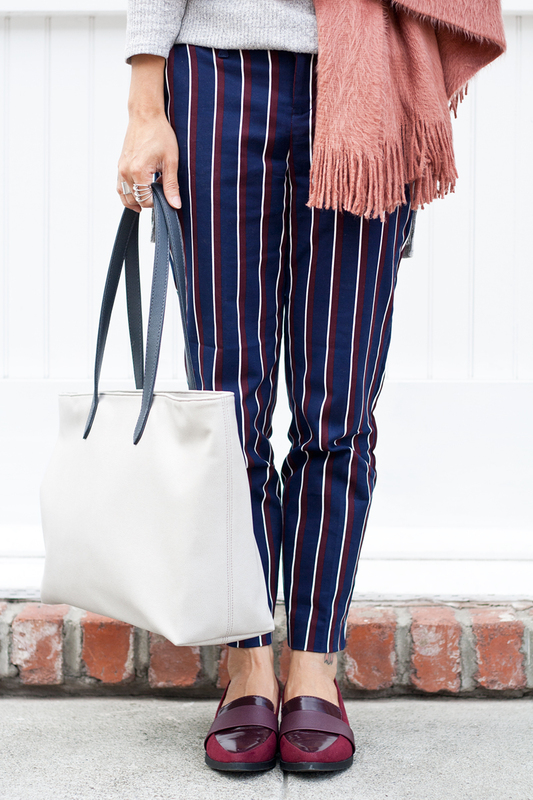 Loving this look and each and every piece is an investment piece!